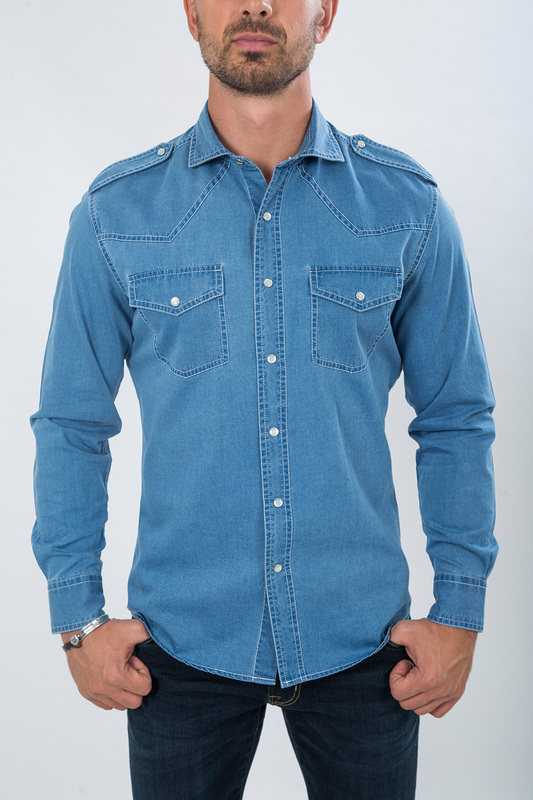 Show off a unqiue and bold look with our floral blue denim shirt. 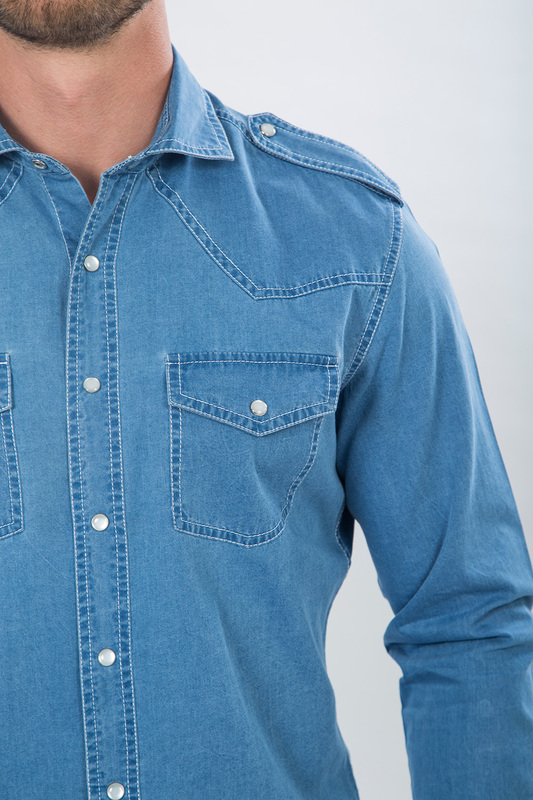 Made with premium denim for a durable, smooth-fitting casual shirt. 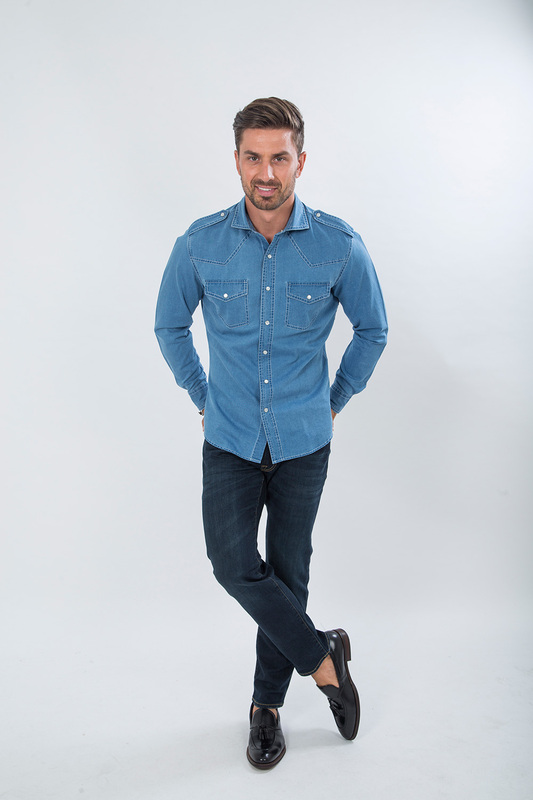 Great for casual or business and made to be worn both tucked in or untucked.